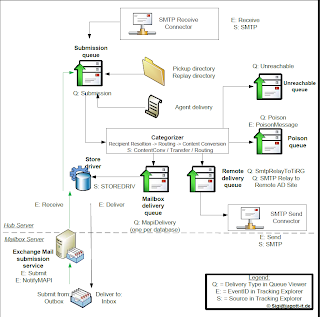 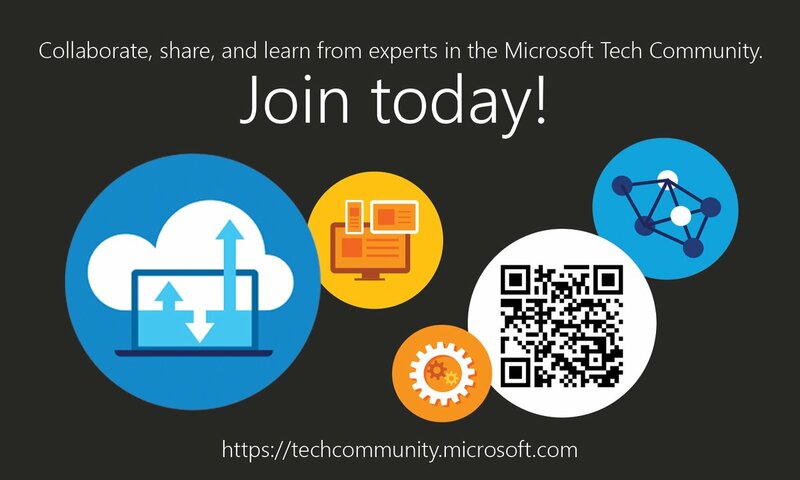 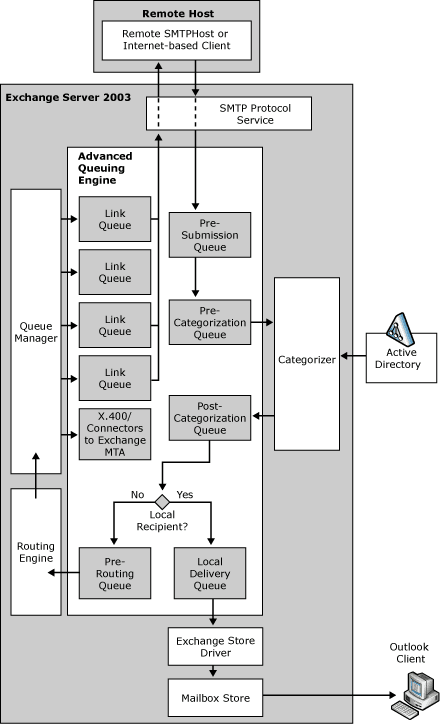 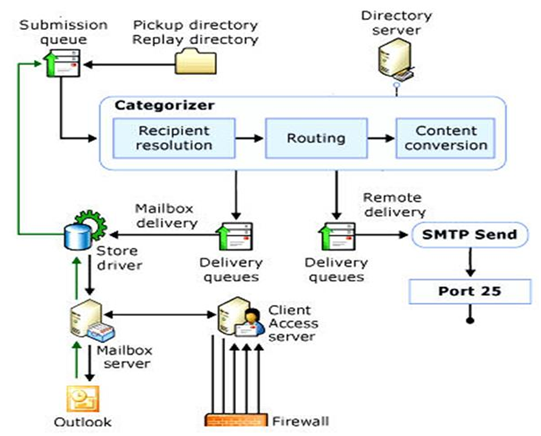 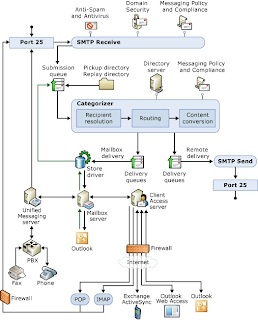 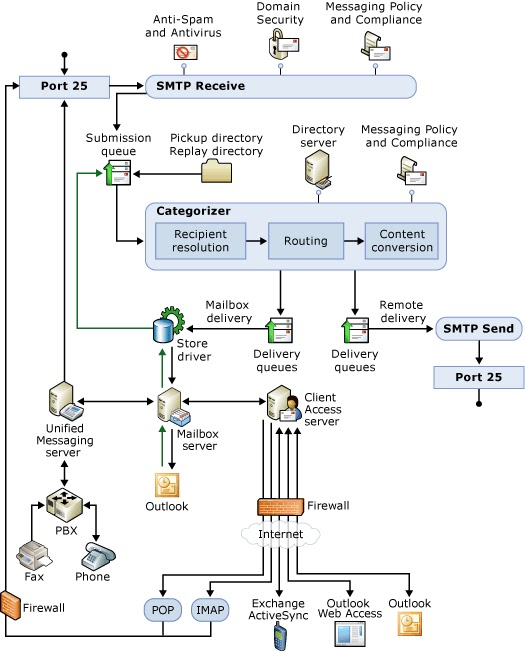 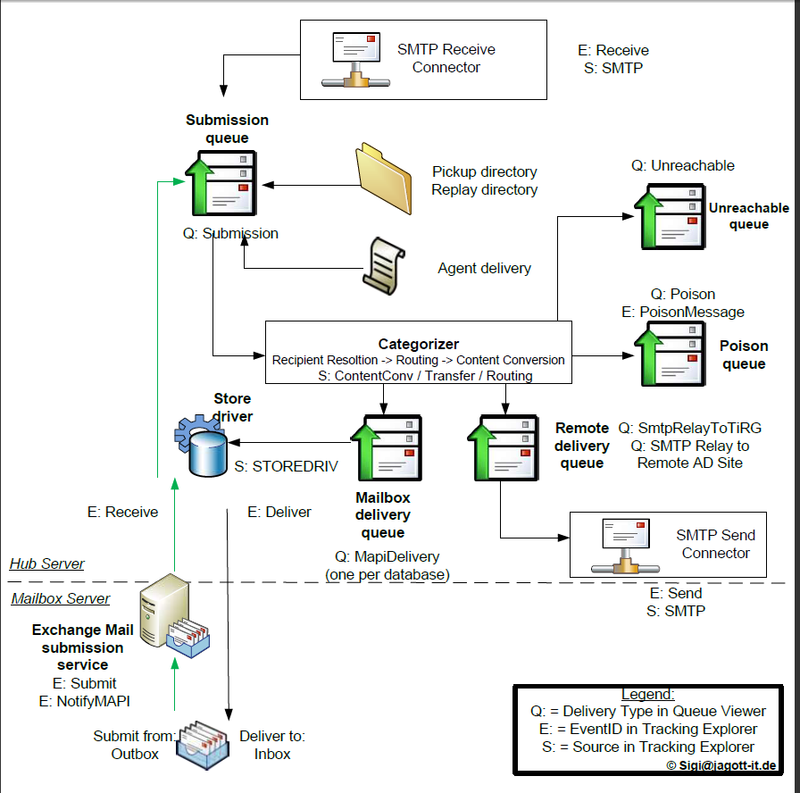 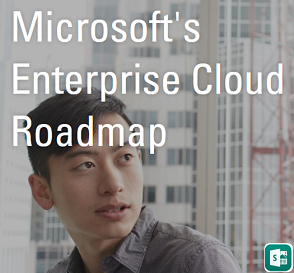 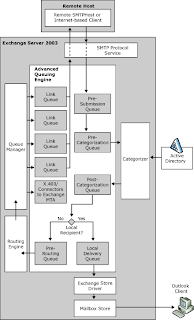 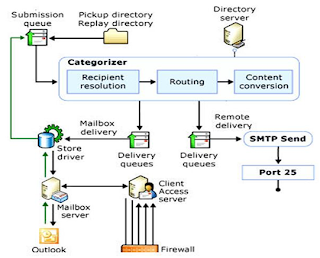 Exchange server Mail Flow diagrams from Exchange server 2003 to 2013 and Office 365 Hybrid. 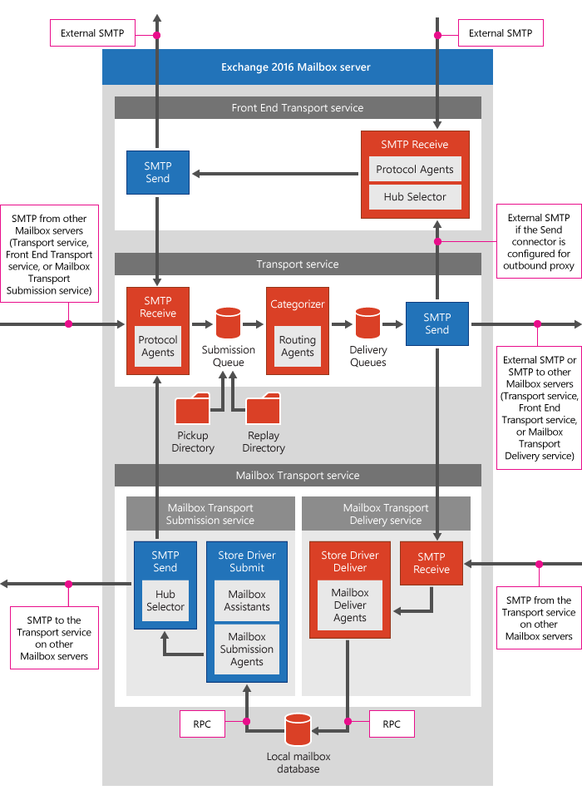 Refer Poster Section on the Blog to get complete Architecture posters and more. 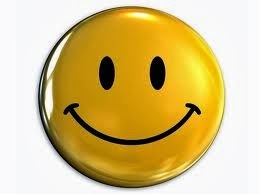 great post ravi... keep it up..